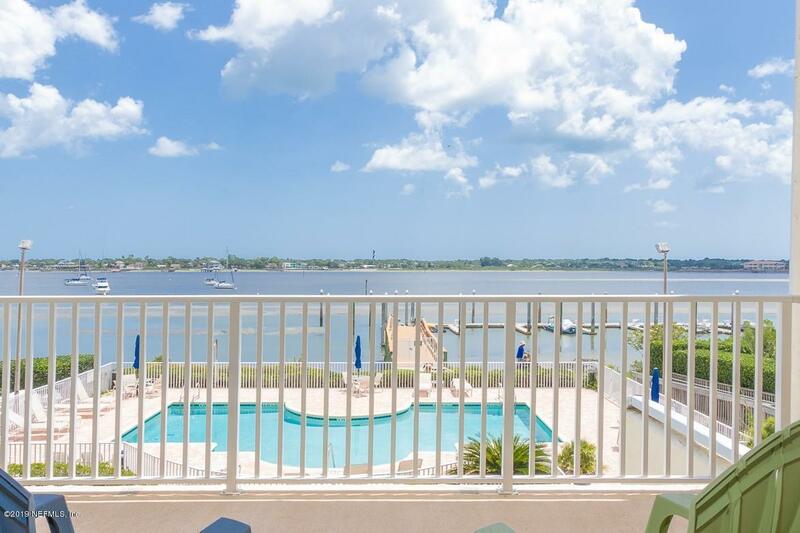 Spend your days with absolutely stunning views of the intracoastal waterway, St. Augustine Lighthouse and Bridge of Lions. 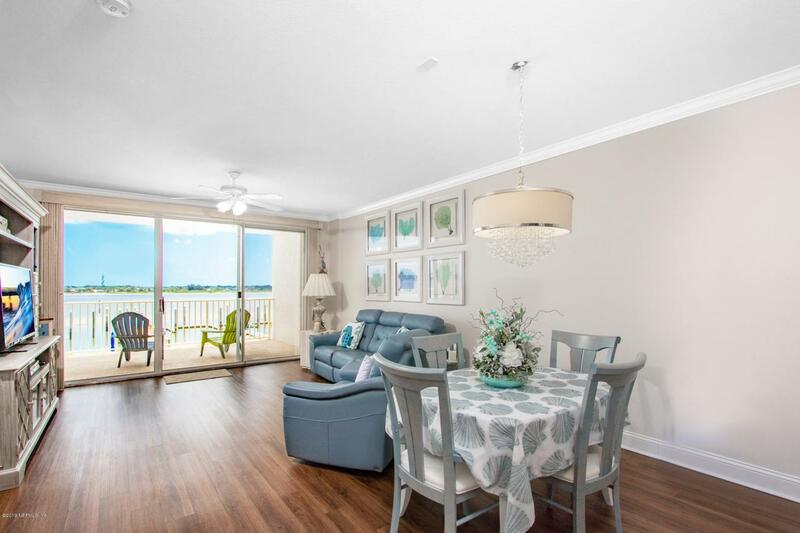 The interior of this light and bright condo at The Views at Baypointe is as striking as the view with updated flooring, backsplashes and baths. 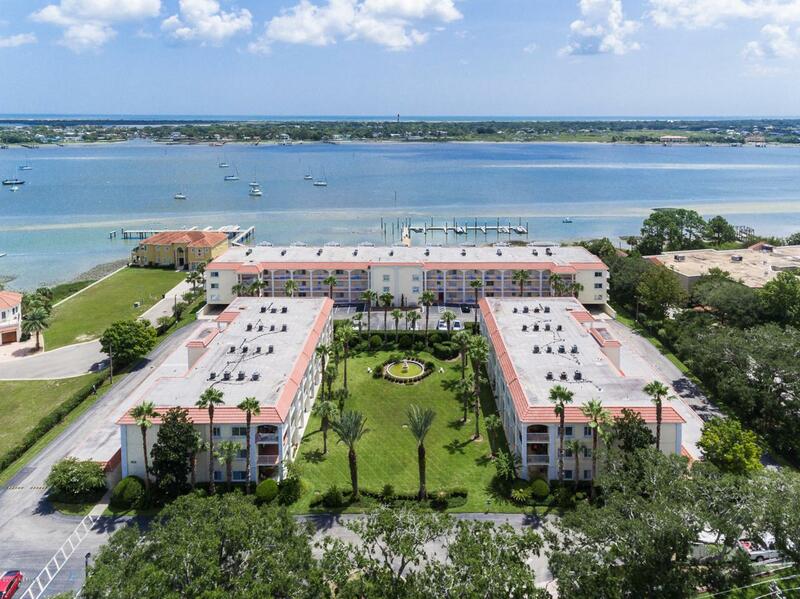 Private, gated complex in the heart of Historic Downtown St. Augustine with waterfront pool, clubhouse, and parking garage underneath the building. Enjoy being right in the heart of downtown, but in such a tranquil location.The open floor plan allows for entertaining or peaceful living with a bright, white kitchen with solid surface counters and stylish backsplash and gorgeous views as you cook and entertain! The master retreat includes a luxury master bath with walk-in tiled shower, separate jetted tub, and spacious walk-in closet. The guest wing includes an updated guest bath with tiled shower and barn door style glass shower door. The large balcony can be accessed through the living area or master retreat and is the perfect spot for gatherings with friends, sunrises, or relaxing at the end of the day with a good book and the wonderful breezes. It's the little extras like the crown molding and the luxury vinyl flooring that is soft under your feet that add so much. Some of the furnishings are also available. The location of the unit is close to the elevator for ease of access to your parking spot in the parking garage. 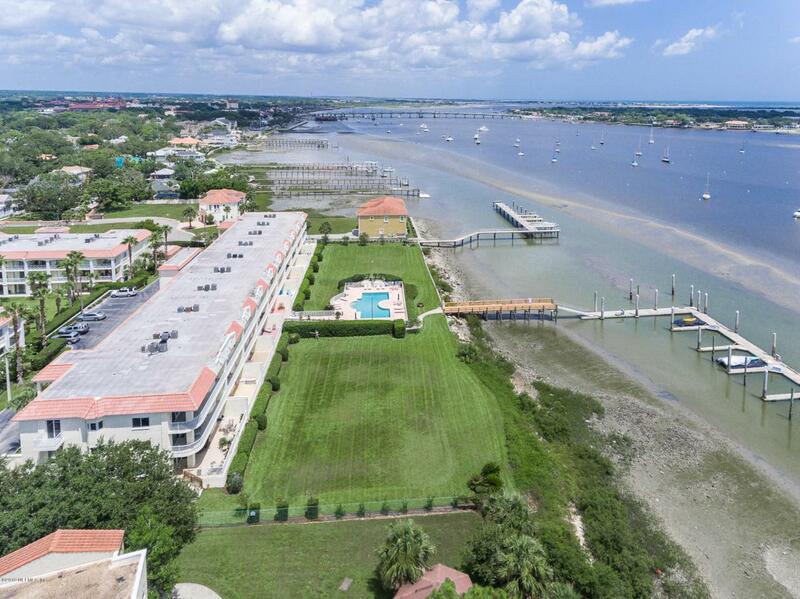 This is truly the best location, close to everything and in the heart of downtown with such gorgeous views " you are so thankful you can call this home.